It’s a challenge familiar to many families: the desire to add more space to a home while maintaining its original character and its seamless fit with the surrounding neighborhood. 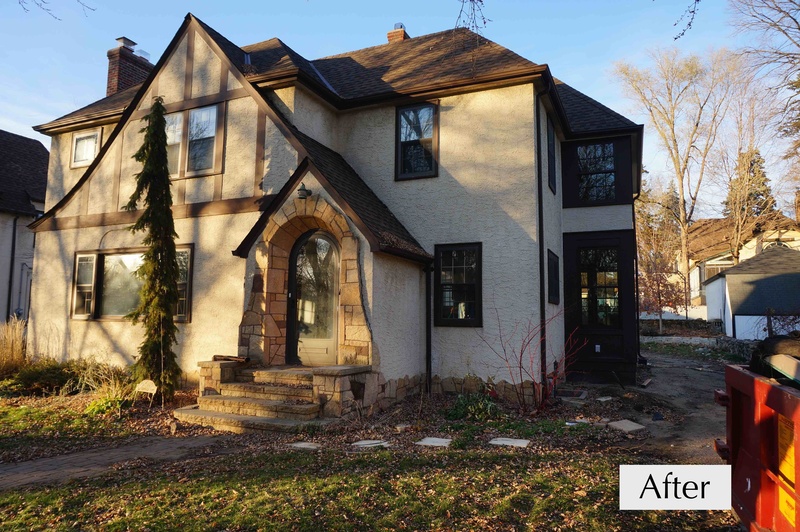 Homeowners Jonathan O’Conner and Eric Schlotterbeck envisioned a more expansive family room and a kitchen remodel for easier hosting and entertaining in their circa-1920s Tudor on Minnehaha Parkway. 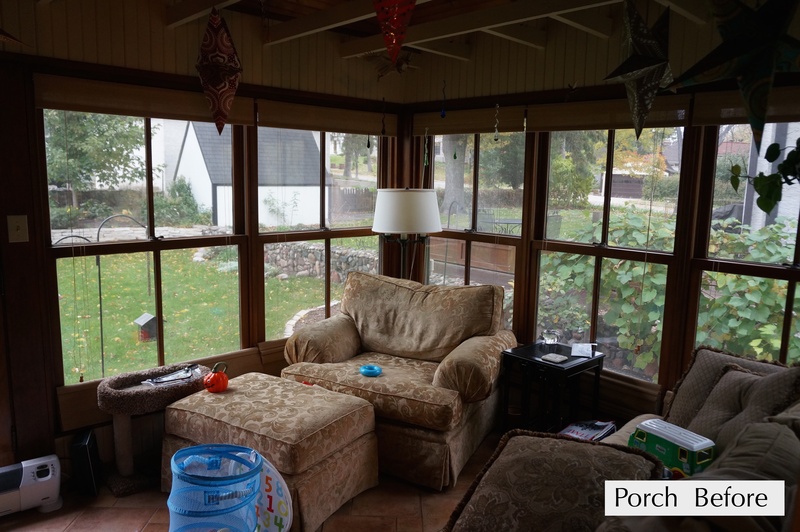 They were willing to sacrifice a small, little-used sunroom and expand the footprint of the house. By staying open to the creative possibilities offered up by their design-build team, the couple gained the additional space they hoped for — and much more. 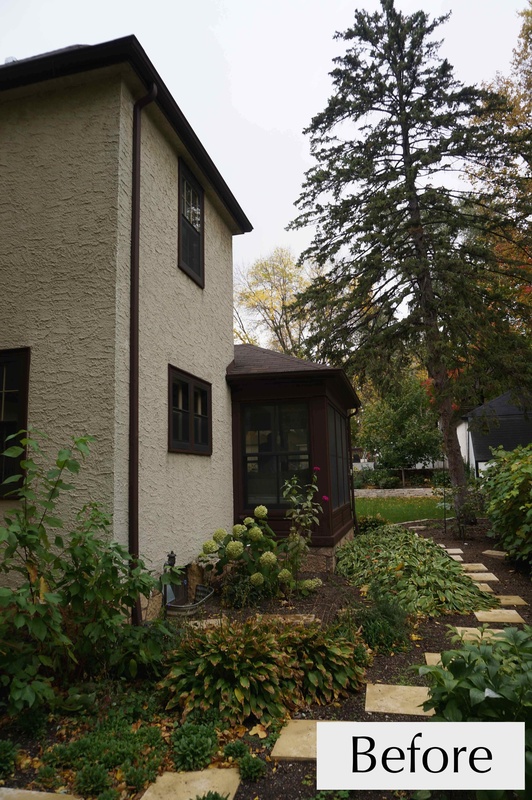 As avid cooks and frequent hosts to their many nieces and nephews, O’Conner and Schlotterbeck initially hoped for a larger main-floor family room that would take advantage of the space now occupied by a three-season porch. Extra square footage would be added with an addition. 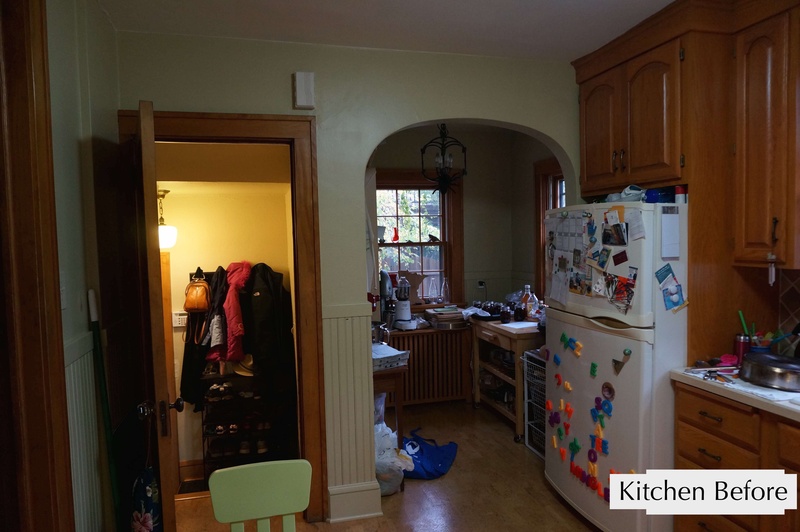 They planned a kitchen remodel that would re-cast the small kitchen to make it truly functional for a two-chef family. Finally, they settled on an open floor plan for both the kitchen and family room, with the goal of enhancing traffic flow through both rooms for their many frequent guests and ensuring that everyone in the space could feel part of the action. Yet the couple were surprised by the options open to them once the architect and builder looked at what a renovation could potentially offer: not only the family room and expansive kitchen they’d imagined, but also a new master bedroom suite with a three-quarter bath. Together with architect Randall Buffie, the husband-and-wife team behind boutique design-build firm Schrader & Companies were inspired by the challenge to create some functional new square footage while also keeping the home’s original character intact. “They weren’t contemplating the possibility of being able to gain a bedroom and bath as part of the project at all, originally,” said Andy Schrader of Schrader & Companies. But by taking advantage of the existing half-story in the Tudor home’s original layout, a new vision took shape. Soon, an iterative design process in close tandem with the architect revealed that much more was possible. To gain the open floor plan the couple desired, the builders opened a structural wall to create an arched opening that echoed those common to the Tudor style. The new master suite was made possible by not only adding on but also building up. The resulting addition is built onto the back of the house. A unique flat-roof solution gracefully blends the second-story master suite addition into the rest of the home’s exterior. Careful blending of the stucco and woodwork banding on the addition makes the new exterior feel like a natural extension of the home. With a new master suite above the family room, the small home has sized-up to a total of three bedrooms and two bathrooms. The addition also successfully created the larger family room the couple wanted. “We were able to keep the sunroom feel by wrapping the family room in 12 large windows that let in the sunshine,” Schrader explained. Water-based radiant heat in the tile floor keeps a room lined with windows comfortable and welcoming to bare feet in all seasons, while a patio door to the back yard brings the outside in. Being open to the kitchen helps the family room feel connected to the rest of the house. It also allows the cooks in the kitchen to remain part of the flow of fun and conversation. 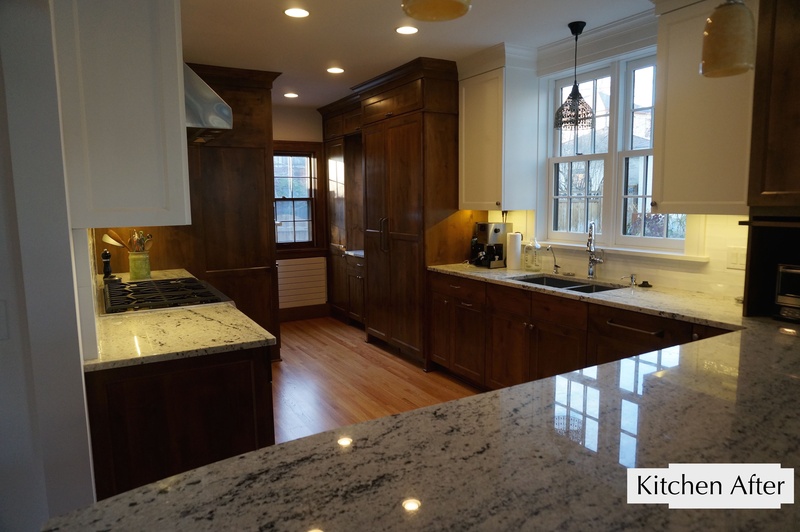 Since both O’Conner and Schlotterbeck enjoy cooking and entertaining, a larger and more functional kitchen was a key goal of the remodel. Gutting the room to the studs allowed for a complete re-imagining of the kitchen — not only making room for two chefs, but also adding custom touches that made the space completely their own. A series of stations throughout the kitchen allow two cooks to work on different tasks while not getting in one another’s way. An island peninsula opens to the expanded family room and welcomes guests into the kitchen without impeding the cooks’ progress. A Wolf six-burner stove joins a steam oven, while custom cabinetry provides dedicated homes for small appliances. 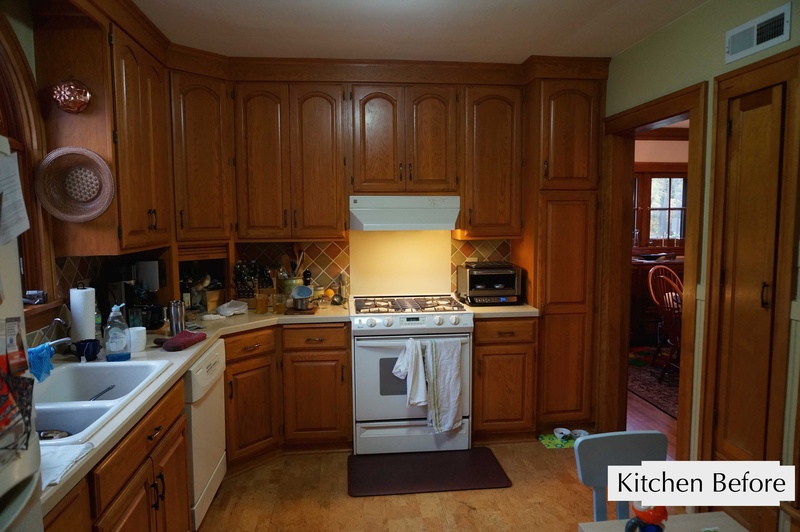 The cabinets include thoughtful details, like storage for scores of spice jars. A project of this scale isn’t without challenges, however. Particularly with older homes, surprises are bound to pop up. Melissa Schrader said that’s when a strong relationship and trust in your contractor is key. “You want someone who will address any issues promptly — to be on the spot to quickly and calmly address the issue,” she said. “We love being able to work closely with the homeowners to achieve their goals—and we love it when they love the finished product,” she said. For the family in this 1920s Tudor, staying open to possibilities means they can now look forward to many more opportunities to love the space they’re in — and graciously welcome their many guests to do the same. The clients were absolutely wonderful to collaborate with, and they were open to planning options that greatly enhanced their home but were not part of the original vision. Our use of sunlight within the original character of their home made for a beautiful, warm and joy-fulled result!https://uploads.disquscdn.com/images/ccf3a82052ac172601eb143ca562d052285a208f08f73f76f9e7a98a7badffd9.jpg https://uploads.disquscdn.com/images/75f600c179289008f74f6440fa104796a4e1d6f2da10f2fe73bab181e3e93118.jpg https://uploads.disquscdn.com/images/e049b760909fb89c1b30360d850594f8130f47d1df5dde971abdd9d761880c8e.jpg https://uploads.disquscdn.com/images/e049b760909fb89c1b30360d850594f8130f47d1df5dde971abdd9d761880c8e.jpg https://uploads.disquscdn.com/images/62c0da9cabafc74fd427a3153d45d519f600307bb92b6d304b5c4ce546d7431f.jpg https://uploads.disquscdn.com/images/00243dd0a8eb1e041917c9515dac4840766bb30e0e63ee8adc4fa5816e2c0df2.jpg https://uploads.disquscdn.com/images/5b68de415ec5959eabe1b21b23d042f5e64d3b9837a52f13f799b6c66aa33fa6.jpg The clients were absolutely wonderful to collaborate with, and they were open to planning options that greatly enhanced their home but were not part of the original vision. Our use of sunlight within the original character of their home made for a beautiful, warm and joy-fulled result! Schrader & Company wonderfully crafted our design vision created by Randall Buffie Architects and Keri Olson (KOR) Interiors.